In a move that should surprise no one, Lotus has raised the bar once again by lightening the Evora in order to develop the sensational Evora Sport 410. Following on from the recently announced Elise Cup 250, and the Exige Sport 350, Lotus’ famous Lightweight Laboratory has been hard at work cutting the weight of the Evora 400 by a massive 70kg. 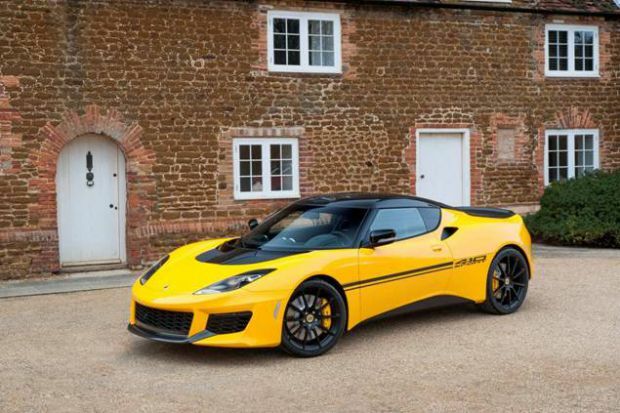 With a host of high-performance carbon fibre components as standard, and sharing the 410 hp supercharged engine with the track-bred 3-Eleven, the Lotus Evora Sport 410 clocks 0-60 in 3.9 seconds on its way to a top speed of 186mph. This new, top-of-the-range Evora has been thoroughly re-evaluated, with every component assessed, optimised and reengineered as required. This covers every aspect of the car, including a drastically simplified carbon fibre tailgate (combining five separate elements into one), new lighter-weight door trim panels and the liberal addition of carbon fibre across the entire car. The Sport 410 builds on the excellent work undertaken in the development of the Evora 400, itself a massive enhancement over the first generation of Evora. However, far from a stripped-out special, the Evora Sport 410 retains excellent road manners, being refined and composed during everyday driving. As standard, the Evora Sport 410 comes with carbon fibre sports seats trimmed with Alcantara®, along with the steering wheel and centre console. An integrated touch-screen entertainment system can also be specified, including iPod® connectivity and Bluetooth® functionality. The Lotus Evora Sport 410 will be limited to a global production run of one-hundred and fifty vehicles per year and will be available in all major markets from June 2016. A specific North American version of the Evora Sport 410 will be announced later in 2016. JLR clocks up half million Evoques at Halewood!